Imagine never having to go to a lab for a blood test again. Never waiting days for results or paying through the nose for a single test. Instead, you attach a small device to your smartphone’s headphone jack—and a few minutes later? Done. A University of Columbia research team recently developed just such a device and ran a pilot with Rwandan healthcare workers. Using a mere drop of blood, the device tests for HIV and syphilis and provides lab-quality results in 15 minutes. Powerful and simple, such mobile health tech may find its way to parts of the world where laboratories simply don’t exist or are hard to reach. And the device costs an estimated $34—compared to over $18,000 for traditional lab equipment. “Coupling microfluidics with recent advances in consumer electronics can make certain lab-based diagnostics accessible to almost any population with access to smartphones,” said Samuel K. Sia, associate professor of biomedical engineering at Columbia Engineering. The Rwandan pilot program worked with 96 patients at health clinics set up to reduce the spread of sexually transmitted diseases from mother to child. Knowledge is power, and with early diagnosis and treatment, Sia says, healthcare workers can better safeguard both mothers and babies against harmful outcomes. Columbia University smartphone device diagnoses HIV and syphilis. 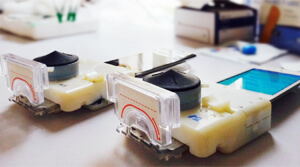 The light, handheld device uses a disposable plastic microfluidic cassette preloaded with the necessary chemicals to run tests. It plugs into and draws power from a smartphone’s headphone jack. Designed to be energy efficient, it doesn’t need a battery and can plug into most smartphones (headphone jacks are universal). Perhaps the greatest feature, however, is that it doesn’t take years of training to work the device and understand the results. In the pilot program, health workers had a half hour training session and, aided by a simple app to guide them, were easily able to operate the device. It isn’t hard to see that mobile health may well take off where it’s most needed first. This might include applications in developing nations, to be sure, but also hard-to-reach and poor populations in developed countries as well. And in truth, the implications are even larger. 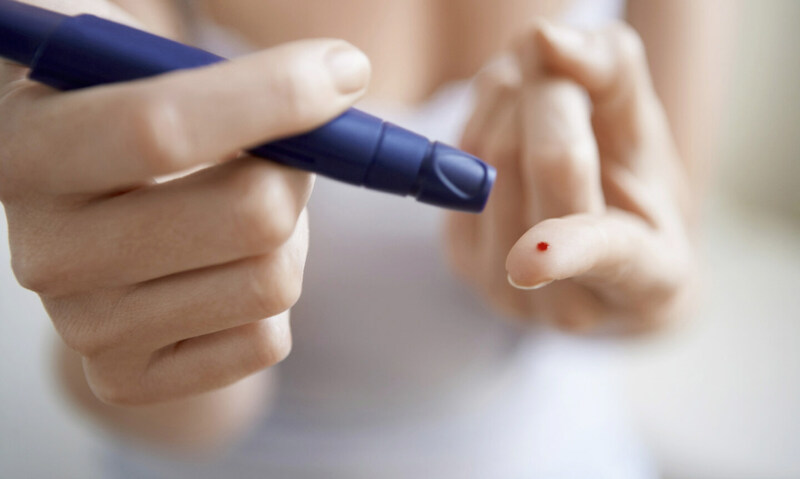 Easy, regular, accurate, and cheap testing of disease may make early detection and diagnosis the rule not the exception. Diagnosing conditions earlier can lead to more effective treatment. And there are more efforts afoot to make mobile health a reality. Just last year, for example, we covered a handheld device called rHEALTH that can run 22 lab tests—and ultimately, it will handle many more—in two minutes, using 1,500 times less blood than usual. Scanadu, another exciting mobile health startup, is designing simple handheld devices to measure key vital signs and other medical information at home. We aren’t to the point where such technologies are being rolled out to the general public yet. But if and when they are, the disruptive potential is staggering. Imagine a future when access to costly medical expertise and equipment are no longer barriers to better health—a future when we guess less and know more.